Sariska is one of the famous cities located in Rajasthan that comprises of temples, forts, palaces as well as wildlife. Due to this reason to make your travel experience in this city easier, we are offering this Sariska travel guide giving all round information about major tourist attractions like havelis, palaces, forts and much more. Have a look at the below mentioned famous tourist places in Sariska or places to visit in Sariska that are must see places and form an integral part of Sariska Tourism. Sariska palace is one of the famous tourist attractions, which is located inside the Sariska Tiger Reserve.This palace was constructed by Maharaja of Alwar in the year 1902 and acted as a lodge for hunting in the forest. It is now converted into a heritage luxury hotel and has been built with different architectural style. 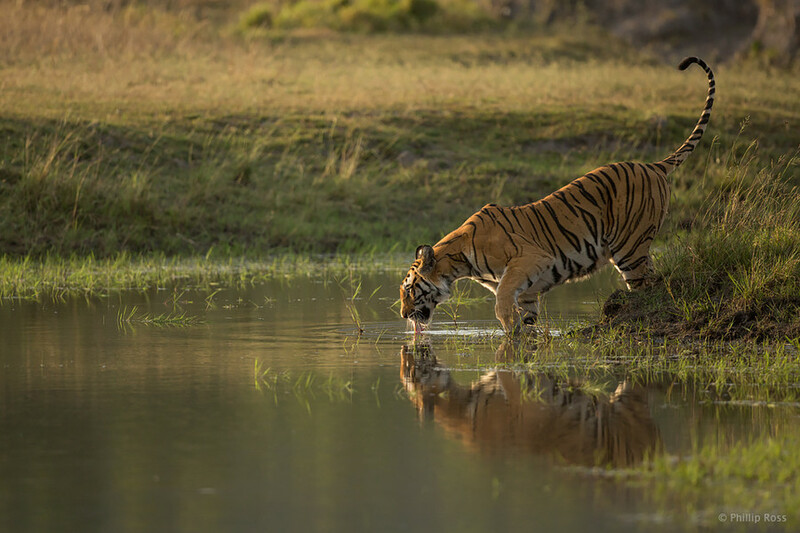 Sariska Tiger Reserve is famous all across the globe for tiger sighting, as large number of foreign as well as domestic tourists visit this place every year. It lies on the terrain of Aravalli hills and is the perfect abode of various wild animals like hare, wild boars, jackals, leopard, tigers and much more. 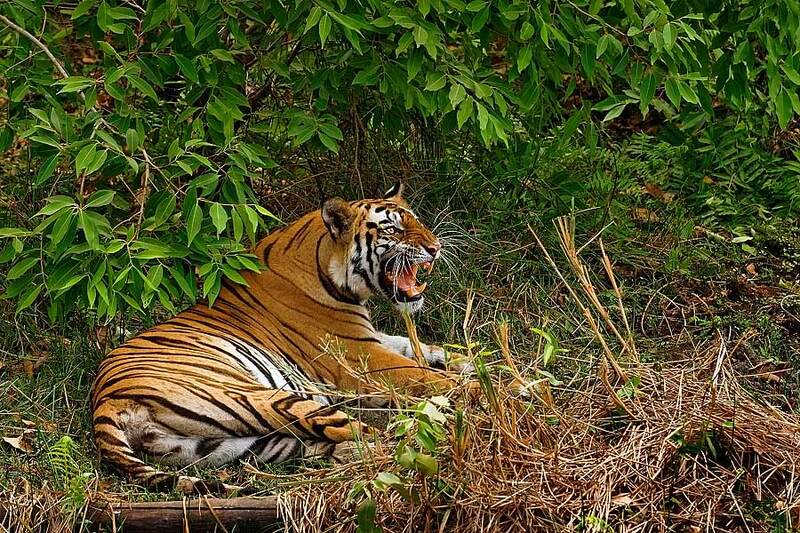 If you are planning a visit to Sariska then you must not miss to visit this national park. Bhangarh Fort was constructed by Madho Singh in the year 1613 and now it is in ruins. This fort is believed to be haunted for many years now and people are not allowed to visit this fort after sunset. It comprises of temples of lord Someshwar and also has havelis, gardens, waterfalls and natural springs. 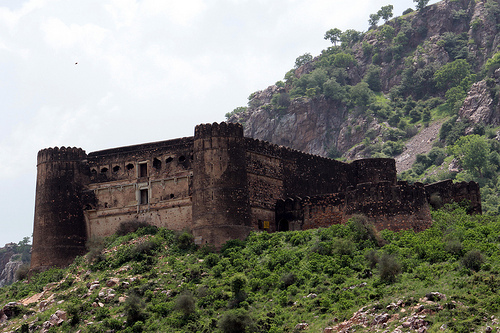 .If you are planning a visit to Sariska then you must not miss to visit this magnificent fort. There is no availability of airport in Sariska, you have to catch a bus or hire a car from major cities like Jaipur, Delhi, Alwar and many more to reach this city. There is no availability of railway station in Sariska, you have to catch a bus or hire a car from major cities like Jaipur, Delhi, Alwar and many more to reach this city. To reach Sariska, roadways is regarded as the most convenient option as this city is very well-connected with all the major cities in India like Alwar, Jaipur, Delhi and many more. At the same time, by hiring car for rental service allows you to the see all the major tourist attractions in and around Sariska.